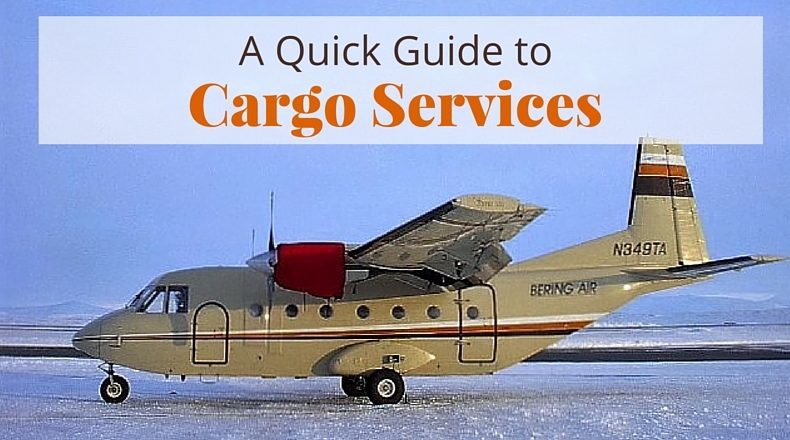 Bering Air’s cargo services are a great way to ship things that are too large for a standard passenger plane. Here’s a quick overview of our current cargo services, plus easy ways you can save on future freight. All cargo planes in our fleet are Casa 212s with rear-loading doors for easy onboarding and offloading of large freight. They’re only used for transporting cargo, which means if you’re shipping something like a snow machine or ATV to another location, you’ll need to schedule a separate flight and pick it up at the destination. Remember that we also have 2 flights per day to most villages operated in our Cessna 208 Grand Caravans and Beech 1900s, which means there’s always room for your regular sized freight and excess baggage. Bering Air is the fastest and most reliable way to get your freight the villages out of Nome, Kotzebue and Unalakleet. Check out our current rate charts, terms and policies for cargo and excess baggage. If you prefer to do your grocery shopping while visiting a hub town, Bering Air offers options for you to transport your frozen goods to your home. You can pay for excess baggage and have them flown with you right away. You can place your order at a local grocery store, then have items sent to your village on a cargo shipment. Buying frozen or other perishable goods? We have ample freezer storage available at our Nome and Kotzebue facilities. Use Gold Points Rewards for Cargo! The Gold Points program is the best way to receive discounted or free freight. If you’re traveling with 50 pounds or more of excess baggage or freight, this program is a great way for you to save. Signing up for a Gold Points account requires a one-time $10 fee per person. Points do not expire, and what’s more, they can be transferred to another member. Plus, you’ll earn 5 Gold Points for every segment you fly, which means after one round trip flight, you’ll already have 10 Gold Points in your account! Have questions about cargo? For your convenience, we’ve setup a direct line to our Nome office so we can answer all your cargo inquiries and requests that much faster. Give us a call at 907-443-8892 or 907-442-3943.